It is commonly believed that when you recall something you are retrieving something stored in your brain. But none of our experiences suggest such a thing. When I retrieve an apple from my table using my hand, my body sends me two clear signals that my hand is doing the retrieval. The first is the touch sensation of my hand grasping the apple, and the second is the visual sensation of the apple in my hand. But when I retrieve a memory, my body does absolutely nothing to suggest to me that I am extracting this memory from my brain. But our neuroscientists like to claim that our memories are stored in our brain. There is a way to test this claim. I will review each of the things that a computer uses to store and retrieve data, and in each case I will ask: is there something like that in the brain? I will use pretty much the simplest example of data storage and retrieval I can think of: the storage of a small file containing a few words of text. Below are the things that a computer uses to store and retrieve such information. Besides applications that do specific things, a computer has what is called an operating system that does various low-level tasks. Bill Gates originally made his fortune by selling the MS-DOS operating system that was the first high-selling operating system used by personal computers. Nowadays if you have a desktop computer you may be using some Windows operating system such as Windows 10, or some Apple operating system. An operating system is a highly complex and coordinated base of code that serves as a kind of foundation for applications that are built to leverage that operating system. As far as we know, the brain has no such thing as an operating system. There are particular genes that list the amino acid constituents of particular brain proteins, but those structural proteins are like hardware, rather than the software that is an operating system. While it is possible to store a small amount of data on a computer merely using a nerdy command-line string of characters, almost no one does that to store text data. Instead, 99% of the time someone will use an application to store data. An application is a program that does some specific type of work, typically by leveraging the functionality in the operating system. A person using a Windows operating system might use an application program such as Notepad, Wordpad, or Microsoft Word to store text data. As far as we know, the brain has no such thing as application programs. No one has ever given a coherent description of how storing information to the brain would involve making use of “how to” instructions stored elsewhere in the brain, some set of instructions that could be compared to an application program. Text is never directly written to a file stored on your computer's hard drive or a zip-drive. If, for example, you were to break apart your computer's hard drive (or break apart a small zip drive), and look at its contents in a high-magnification microscope, you would never see little tiny “a,” “b,” and “c” characters. What actually happens when your text data is stored is this: (1) the ASCII code is used to convert each of your text characters into a number; (b) those numbers are then converted from decimal into binary; (c) the binary information is then stored on your computer's hard drive or a zip drive. The ASCII code consists of a table in which each character is represented by a number. Does the brain have anything like this? As far as we know, it does not. The ASCII code is an example of an encoding protocol, and no one has ever been able to discover any encoding protocol used by the brain to store information. The ASCII code merely converts letter to decimal numbers, numbers that use the Base 10 system. But computers store information using binary code, and when binary is used, numbers are stored using the Base 2 system. So rather than directly writing text represented in the ASCII code, an application must convert from decimal to binary. This is another encoding protocol that does not correspond to any functionality known to exist in the brain. When a computer has all the bits needed to write, it must have a stable medium to write to. Some of the earliest stable media to write to were clay (used in writing cuneiform), parchment, and paper. 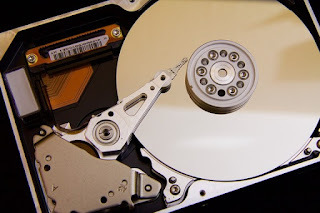 Nowadays computers use a stable medium such as magnetic disks. The DNA inside neurons is a stable medium for permanent information storage, but it doesn't seem to be used for storing our memories. 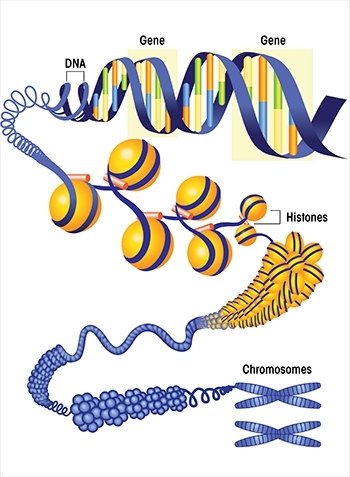 Our DNA has been exhaustively studied by projects such as the Human Genome Project and the Encode project. No one has discovered the memories of any particular human in that human's DNA. Shockingly, there seems to be no plausible candidate for a particular component in the brain where the brain could be storing memories that last for decades. Neither synapses nor DNA is such a plausible candidate. When a computer stores data on a hard drive or zip file, it's not similar to adding to a heap, something similar to pouring another cup of water in a swimming pool full of water. It's always rather like putting some new papers in a particular file of a filing cabinet. This is so that information can be retrieved rapidly. You can get papers from a file in a file cabinet quickly, but it would take you way too long to get that information if you just had some giant heap of papers in the middle of your office. So whenever your computer stores data, it has some idea of a specific location where this data will be saved. For example, you may store your little text data in a file called SaturdayNote.txt in a folder or directory called MyTextFiles. That gives the computer a way to retrieve this information quickly, by first going to that particular folder or directory, and then searching for the file named SaturdayNote.txt file in that particular folder or directory. Does the brain have any type of similar system for storing information in specific named locations? As far as we know, it does not. It's hard to conceive of how such a thing could possibly exist in the brain. The brain is more like a tower-sized ball of tangled spaghetti than some city with labeled streets. There seems to be no way in which a brain could ever know exactly where some data was that it was storing. Neurons don't have any coordinate system allowing anything to tell a precise location in the brain. If your brain somehow wrote some information to a brain position of X=2345, Y=24342, Z=73252, there would be no way for the brain to record that exact position in a way that would allow that exact location to be quickly accessed. Writing some information to the brain would seem to be like writing on some index card, and throwing it into the middle of an Olympic-sized swimming pool full to the brim with index cards. Under such a setup, instantaneous retrieval of some precise information should be impossible. The discussion under Item #6 above was purely a discussion of an organizational system in which some data can be given a location for it to be stored. A separate requirement is that data can be written to a storage medium, and also read from that storage medium. The reading and the writing must occur in a very consistent way, so that the data read is exactly the same as the data written. Your computer has one or more systems capable of such read/write functionality. For example, a hard disk in a computer is a read-write device. Below is a photo showing some of the rather complicated hardware involved. There is a a read-write arm which can move back and forth in a particular line, and also a spinning disk underneath that arm. At the end of the read-write arm is a read-write head that can read data when it is above some particular location. With the combination of these two things, the system can read and write from any desired location on the disk. Does the brain have any such read-write functionality? Some think that what is called long-term potentiation acts like a write system for storing memories. But the term long-term potentiation is very misleading. Long-term potentiation (LTP) is actually a very short-lived effect, almost always lasting less than a few weeks. The brain may have some kind of system for writing something that will last a short time, rather comparable to someone writing in the wet beach sand with his fingers. But there is no known write mechanism by which the brain could permanently store data. When it comes to read functionality, we know of no mechanism at all for such a thing. There seems to be absolutely nothing in the brain similar to the read-write head of a hard disk, something that might allow the brain to “zoom in” and read from one particular location. A system has to be organized in a very specific way for read-write functionality to be possible, and the brain seems to be organized in no such way. Our neuroscientists tend to dogmatically speak as if our memories are all stored in brains, but this is more of an ossified dogma rather than a truth determined by observations. Neuroscience itself undermines such a doctrine, by indicating that there is no stable component that the brain could be using to store memories lasting decades. Comparing the brain to a computer, we find that the brain has nothing like any of the 7 main things that the computer uses to store and retrieve data. But our minds recall obscure information instantly, and a single phrase may get you to instantly recall some old tune you have not heard in 50 years (as recently happened to me). The discussion above should be very discouraging to anyone who hopes to explain how brains could achieve the memory capabilities of human minds. To such a person I must merely say: you're barking up the wrong tree. The feats of our minds cannot be explained solely in terms of the brain. We must postulate some psychic or spiritual component to account for the feats of our minds, something beyond the brain. Such a thing is needed to account for the wonders of psychic phenomena, and is also needed to account for the ordinary marvels of the human mind such as the instantaneous recall of childhood memories. Postscript: We may imagine the following conversation between a curious young boy and a distracted mother walking on the street. Boy: Mommy, who made the clothes I wear? And who made the TV shows I watch? And who made the cars I see? And who made the street lights? Mother: The answers are simple, my son. They are: Santa Claus, Santa Claus, Santa Claus, and Santa Claus. We can also imagine a similar conversation between a philosopher and a neuroscientist. Philosopher: From whence comes that hint of the transcendent we feel when we look at a sky ablaze with stars? From where do our loftiest ethical principles arise? Why do we lie awake and ponder the weightiest riddles of existence? How do we ever grasp the most abstract notions such as the idea of the universe and the eternal laws of nature? Neuroscientist: The answers are simple. They are: neurons, neurons, neurons, and neurons. Such simplistic answers are convenient, but should we not suspect such complex questions have equally complex answers? Today is the day in which many people are engaging in a series of protests called March for Science. No doubt there will be many speeches whipping up enthusiasm for science and scientists. Such applause is largely deserved; certainly most of our scientists are fine people who do excellent work. But there are some things we should remember on a day in which people might be prone to start chanting “Trust the scientists!” One of these is that quite a few scientists get things wrong or fail to act in the public interest. Some of these cases are detailed in a recent book by Paul A. Offit entitled Pandora's Lab: Seven Stories of Science Gone Wrong. We hear of cases such as chemist Frtiz Haber, whose contributions were a weird checkerboard of good and evil. He pioneered chemical processes that helped to feed millions, but also worked vigorously to help the Germans develop poison gas. Then there was the large number of scientists in the US who supported eugenics, encouraging sterilization of those with “inferior genes.” They claimed this was just a consequence of good Darwinist thinking. The climax of eugenics was the perverse work of the Nazis, who sent millions to gas chambers, claiming that this was “applied science” designed to achieve “racial sanitation.” Then there was neurologist Egas Moniz, who was given the Nobel Prize for developing the surgical brain procedure called lobotomy. Some 40,000 people in the US underwent this procedure, which is now regarded as a horror and a blunder. More recently there's the case of a Massachusetts chemist who worked at a drug testing lab. Her misconduct over eight years (including falsifying evidence) was so bad that prosecutors announced that they would throw out 21,587 drug convictions tainted by her involvement. Another drug test chemist in western Massachusetts was involved in equally egregious misconduct (regularly smoking crack on the job), casting doubt on countless drug convictions that she was involved with. But the biggest case of “science gone wrong” may have occurred in the 1940's. That's when our scientists got involved in designing bombs that have put the survival of mankind at risk for 70 years. By the time the first atomic bomb was ready for testing in July 1945, it was no longer really needed. By this time the Nazis had already been defeated, the Japanese Navy had been crushed, and the United States had established bomber bases that were being used to mercilessly pound Japanese cities with conventional bombs. The cumulative destruction of such bombing equaled the destruction of a nuclear bomb, with 88,000 dying from a single raid on Tokyo. But nonetheless scientists gave the green light for testing the first atomic bomb, even though there was some doubt as to whether the test would cause a chain reaction in the atmosphere that would destroy all life. On the day of the testing, leading nuclear expert Enrico Fermi suggested a bet as to whether the entire atmosphere of Earth would be set on fire. Our scientists should have said in July 1945: we refuse to test this thing – keep this genie in the bottle. But the development of atomic weapons went forward. Gradually it became apparent: there was a way to make a far more destructive bomb, by using nuclear fusion rather than nuclear fission. This type of bomb was the hydrogen bomb, developed in the very late 1940's and early 1950's. There was never any military necessity for a hydrogen bomb. 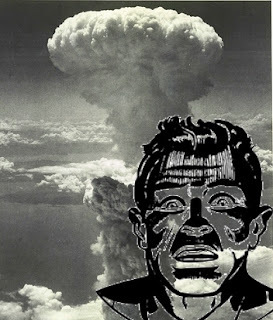 Both the United States and the Soviet Union already had atomic bombs capable of destroying the cities of the other side. When ordered to invent a hydrogen bomb, our scientists should have said: no, sir, we won't do that. But they meekly obeyed orders, and before long both sides were armed to the teeth with hydrogen bombs. For about 70 years, nuclear weapons have been like a gun pointed to the head of mankind. And it was Big Science that has pointed that gun at mankind's head. The long entanglement between science and militarism is troubling. The average person will not be able to recall the name of a single scientist who refused to build a weapon. Nowadays we have non-stop news channels and the Internet for news. But back in the 1960's you got breaking news through “Special Announcements” that interrupted your television program. Such announcements would only come on your TV sets a few times a year, and came at moments such as the assassination of Martin Luther King. You would always see an ominous vague screen saying something like “Special Announcement,” and you would then about 10 seconds later hear an announcer who would tell you what the breaking news was. During those 10 seconds, you would be filled with dread, and ask yourself: has a nuclear war started? Then there were the Emergency Broadcast System test screens, which would pop up on TV sets every few weeks. The system was designed to give alerts in the event of a nuclear war. The alert screen would pop up on your TV, and the announcement would end by saying, “This is just a test.” But so often when you saw the alert sign on your TV, you would hold your breath, and ask yourself: is this the real thing? Has a nuclear war begun? During the 1950's, 1960's, 1970's and 1980's the threat of nuclear destruction was a dark cloud over the heads of everyone living through those decades. When the Cold War ended with the breakup of the Soviet Union, lots of people seemed to say, “Thank God that risk is all over.” But the risk has persisted to this day, because both the US and Russia are still each armed with about 7000 nuclear weapons. Institutional science encourages conformist thinking in which a scientist is pressured to judge the rightness of something based on whether his colleagues agree with it. Such conformist thinking is a disaster in any case in which the majority has moved or is moving in the wrong direction. So it's hardly surprising that our nuclear scientists followed the herd as it moved towards the brink of atomic destruction. What else should we expect when “follow your peers” is the predominant rule? And we should also not have expected psychologists who became involved with “enhanced interrogations” torture to have refused to cooperate. It would be better if institutional science encouraged an individual to reject the majority's path or judgment whenever it fails to hold up to standards of morality or plausibility. The judgment of an individual should always be a check and balance against the path or opinions of a majority, for scientific and governmental majorities have often gone in the wrong direction, often because of sociological herd effects. Science by itself is morally neutral. Given the triple perils of environmental degradation, global warming and resource depletion, we should by all means struggle to reduce global warming, to reduce consumption, and to increase clean, green energy. But making such efforts comes under the category of personal ethics and sound public policy, not science. Just as science didn't tell our nuclear scientists not to build unnecessary hydrogen bombs that put the human race in peril, science by itself doesn't tell us whether we should live it up today in disgusting excess or live in a more green and frugal manner to protect future generations. We must find the answer to that question by using some internal moral compass. Do Worm Experiments Add to the Case for a Human Soul? Human minds have astonishing capabilities that we cannot account for by postulating neural mechanisms, including self-awareness, abstract reasoning, the ability to remember 50-year old memories, the ability to recall very long linear sequences, and the ability to instantly recall obscure pieces of information. Since we cannot explain such feats by neural mechanisms, we need to postulate some source of human mental functionality that goes beyond the brain, something along the lines of a soul. The first premise above would be disputed by many a neuroscientist, but none of the things the premise mentions can actually be adequately accounted for by neuroscience. No neuroscientist can give any coherent explanation of how neurons are able to give a person self-awareness and the sense of self that humans have. When asked to explain very long-term memories such as memories that old people have of their childhood, a neuroscientist will typically mention the idea that memories are stored in synapses. But as discussed here, synapses are subject to very rapid molecular turnover and structural turnover which should make them incapable of storing memories for longer than a year. The molecular turnover in synapses is so rapid that they should be incapable of storing memories for longer than a few months. As discussed here, the architecture of brains seems to not be the type of architecture that might allow storing very long linear sequences such as humans can remember. As for the instantaneous recall of distant memories, this is something that everyone takes for granted, but trying to explain it in detail neurologically is such a nightmare that neuroscientists rarely attempt such a thing. The main problem comes when we consider this issue: if memories are stored in the brain, how is it that someone could know exactly where in the brain a memory is stored? For example, if I say, “Tom Cruise,” your mind may recall various images of Tom Cruise. But if such images are stored in your brain, how could your brain know exactly where such images are stored? Brains are not structured in any way that allows for the location coordinates of anything to be recorded when a memory is stored. So it won't do for you to claim that you looked up storage spot number AZ4392 when you recalled what Tom Cruise's face look liked. Brains have no such coordinates. And how could you be using a coordinate, when you wouldn't know what the coordinate of a particular memory was? We never remember any brain location coordinates when we memorize things. It also will not do to claim that you scan through all your memories to get the answer, like someone leafing the pages of a book to find an answer. Such a thing would take hours, but you recall memories instantly. No neuroscientist has given a detailed plausible account of how humans could instantly recall distant memories stored in a brain. See here for more on the seeming impossibility of explaining instant memory recall through brains. An additional problem comes when we consider encoding and decoding. If your brain is storing memories, your brain would have to be using all kinds of super-complicated encoding and decoding schemes that would allow conceptual and visual information to be stored on a molecular level, and then translated back into concepts and images when you recall things. But it is hard to imagine how such encoding schemes could ever exist – for example, we can't imagine any encoding scheme by which you might translate the conceptually rich idea of America or the conceptually rich idea of your mother into a series of molecules. And if such super-complicated encoding schemes did exist, they would seem to be miracles of design 1000 times harder to explain than explaining the genetic code (already a nightmare for biologists to explain, even though it is pretty simple). See here for more about this difficulty. All of these very great difficulties can be avoided through a radical idea: the idea that human mental capabilities are largely the product of a human soul rather than the brain. We can believe that our memories are mainly stored in something like a soul, rather than a brain. We can believe that our sense of self-identity and our ability for abstract reasoning (so hard to account for by the action of neurons) is also the product mainly of a human soul. There is a great deal of paranormal evidence supporting such an idea – things such as near-death experiences, suggesting human memories and consciousness can continue when the brain is totally shut down. The main problem with such an idea is that it differs from what we have been told so often by neuroscientists. But such an idea is easier to accept if you simply remember: Nature never told us that our memories are stored in brains, and Nature never told us that our abstract concepts are generated by brains. It is merely our neuroscientists who have told us such things, and they have been jumping the gun before getting proof for such claims, being guilty of the overly presumptive dogmatism that is so common among modern scientists. Scientists have long advanced the dogma that memories can only be stored in brains. But there is a line of experiments that challenge such a dogma. The experiments involve worms. The worms in question have an astonishing ability. You can cut off the head of one of these worms, and it will grow a new head. In the 1950's the scientist James McConnell did astonishing experiments with flatworms. He trained flatworms (planaria) to respond to lighting cues. He then cut off the heads of the flatworms, leaving only half a worm. He was not surprised to see the tail of the worm regrow into a full worm that included a new brain. Such a thing had been observed long ago. But what was surprising was that the worms seemed to remember the learning that had previously been provided. Under the prevailing dogma of neuroscience – that all memories are stored in the brain – such a thing should have been impossible. The learning should have been lost when a worm's first brain was cut off. McConnell's research was published in a peer-reviewed scientific journal. The paper stated, “ It was concluded that in planaria the rudimentary brain is necessary for learning to take place but not for retention of the learned response." More recently, scientist Michael Levin of Tufts University has replicated McConnell's findings. Spending lots of money, Levin developed a fancy machine called the Automatic Training Apparatus, designed to test flatworms in a way that would be computer-assisted and involve less subjective interpretation by humans. A worm was trained in some way. The worm had its head severed. The worm regrew its body, growing a new brain. The worm was then retested to see whether it remembered its previous learning. It was found repeatedly that the worm seemed to remember what it had previously learned before decapitation. It is impossible to explain these results under prevailing dogmas that memories are stored in brains. An article on Levin's research includes some weird speculation involving RNA molecules going from the head of the flatworm into the tail, and then migrating back into the head after the head had regenerated after decapitation. But the article concedes that this scenario is “imaginary,” and scientists haven't even maintained that memories are stored in RNA molecules. But there is a scenario that can explain experimental results such as McConnell's and Levin's. Consider the following hypothetical scenario. All animals with brains (include flatworms and humans) have something like a soul. In the case of a flatworm, we might call this a mini-soul. Such animals store memories not mainly in brains, but mainly in souls. When a flatworm is decapitated, its brain is lost, but its soul or mini-soul is preserved, and still holds the animal's previous memories. When the decapitated flatworm grows a new brain, it is able to remember its previous learning, because it is retrieving memories not from its newly regenerated brain but from its soul or mini-soul that was never damaged. The experimental results of McConnell and Levin are inconsistent with the idea that memories are stored only in brains, but are quite consistent with the scenario above. Are there any other experiments hinting at the existence of a soul? Yes, but they involve not animals but human beings. The experiments I refer to are experiments involving ESP and remote-viewing. Innumerable scientific papers have been published documenting positive results in such experiments. 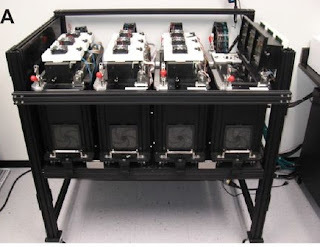 In the case of the Joseph Rhine experiments at Duke University, we have experiments showing spectacular results that we would not expect to see merely by chance even if everyone on the planet was tested for ESP. What do such experiments have to do with the soul? Abilities such as ESP and remote viewing are utterly inexplicable under a neurological framework. Evidence for such abilities suggests very strongly that the human mind involves some paranormal or spiritual or transcendent component that goes beyond anything that can be explained by using the nervous system and the brain. The term “soul” can be used as a vague term for such a component. Of course, you can deny all of this if you wish to cling to materialist dogmas about the brain, and maintain that the mind and memories are 100% brain effects. But life is going to be hard for you. You must explain away or deny the worm experiments done by multiple researchers. You must explain away or deny tons of experiments showing paranormal human abilities, experiments done for more than 100 years, including experiments done at leading universities and experiments long funded by the US government. You must deny all the evidence involving near-death experiences, suggesting that human consciousness can continue when the brain is inoperative, including many cases of people verifying details of their medical procedures when they should have been completely unconscious. You must claim that memories are all stored in brains, even though there is no plausible mechanism by which human brains could store memories for longer than a year or two, given all the structural and protein turnover occurring in synapses (discussed here). You must somehow claim that memory recall is purely neurological, even though no one has the slightest idea of how a brain or mind could ever know how to find the exact location in the brain where a memory was stored. You must also maintain that somehow all our abstract thoughts are made by neurons, although no one can explain how one neuron or a trillion neurons could combine to make an abstract concept such as “life,” “universe,” or “nation.” You must also maintain that somehow the brain is constantly using a vast wealth of encoding schemes and decoding schemes that allow it to translate concepts, episodic memories and visual memories into molecular storage, even though no one has ever found such an encoding scheme, no one has ever spelled out in detail how such encoding schemes could work, and if such encoding schemes existed they would require some insanely intricate design scheme almost infinitely more complicated than the design scheme behind DNA (creating a gigantic “intelligent design” issue materialists would prefer to avoid). You must also explain away cases such as John Lorber's and these cases, which suggest that minds can function very well even when a large fraction of the brain is damaged or a great majority of the brain is gone. Good luck doing all that without tying your prose into knots. 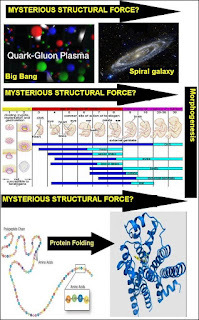 Does Some Mysterious Life Force Cause Protein Folding and Morphogenesis? One of my more popular recent posts was one entitled A Table Listing 50 Things Science Cannot Explain. I discussed fifty puzzling mysteries modern science has not been able to solve. But my table failed to mention one of the biggest unsolved mysteries in science: the mystery of protein folding. Basic molecular building blocks of the body, proteins are specified in DNA by a one-dimensional series of nucleotide base pairs that represent a series of amino acids. A particular protein may be specified in DNA by a gene that is a simple series of nucleotide base pairs that stand for a series of amino acids (the building blocks of proteins). In the visual below, we see a simple gene that specifies the contents of the protein, and (in colors of orange, blue, yellow, and green) some of the nucleotide base pairs that make up the gene. The chromosomes are found in every cell. Certain combinations of these nucleotide base pairs (guanine, cytosine, adenine, and thymine) represent particular amino acids (because the cells use the genetic code). A protein is composed of these amino acids. Below is a schematic diagram of a small hypothetical protein. Other proteins might consist of not just 13 amino acids, but hundreds of them. Now, based on what you have just been told, you might think that proteins are long string-like molecules like the long string-like molecule that is the DNA molecule. 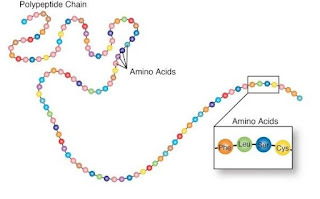 In other words, you might think that a protein looks like the chain we see in the visual below. A series of amino acids such as this, existing merely as a wire-like length, is sometimes called a polypeptide chain. But protein molecules instead typically have intricate three-dimensional shapes. So a protein molecule isn't shaped like a simple length of copper wire – it looks more like some intricate copper wire sculpture that some artisan might make. 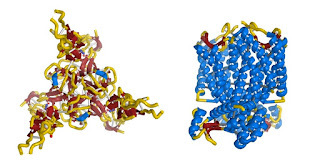 Below are two examples of the 3D shapes that protein molecules can take. There are countless different variations. The phenomenon of a protein molecule forming into a 3D shape is called protein folding. How would you make an intricate 3D sculpture from a long length of copper wire? You would do a lot of folding and bending of the wire. Something similar seems to go on with protein folding, causing the one-dimensional series of amino acids in a protein to end up as a complex three-dimensional shape. The question is: how does this happen? This is the protein folding problem. Biochemists have been knocking their heads on this problem for 50 years, and have made very little progress in solving it. An idea considered very early in the investigation of the protein folding problem is that after a protein is created, it reaches a particular shape through a kind of trial and error chemical “search.” It was thought that maybe newly created protein molecules kind of cycle through different structural arrangements until one stable arrangement was found; and that the protein shapes we observe are just the results of such a search. But this idea was ruled out pretty quickly. In 1969 scientist Cyrus Levinthal calculated that a protein with about 100 amino acids could be folded into about 3 to the 198th power shapes. Trying so many possibilities would take very many years – eons actually. But instead a particular protein will very rapidly form into a characteristic three-dimensional shape, in a very short time – seconds for small proteins, and minutes for large proteins. This discrepancy between the calculated time protein folding should take and the actual time it does take is known as Levinthal's paradox. Levinthal's paradox bothered those working on the problem of protein folding, and they developed an idea to soothe their pain in this regard. The idea was called Anfinsen's dogma. The idea behind Anfinsen's dogma is that the three-dimensional shape of a protein is determined solely by the sequence of amino acids in it. 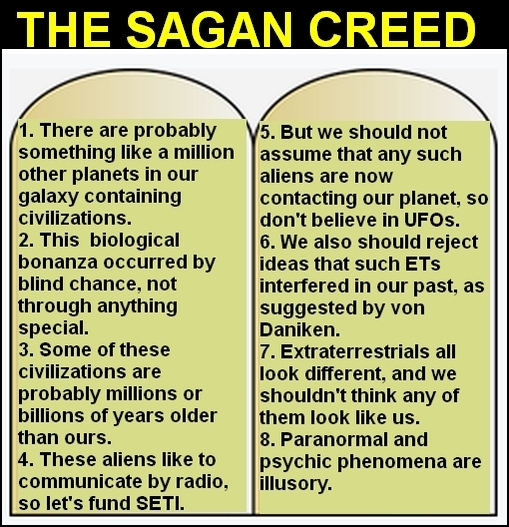 We can represent the Anfinsen's dogma with the visual below. The idea is that given some particular chain of amino acids (also called a polypeptide chain), and given the laws of chemistry, you will automatically get some particular complicated 3D shape like the shape below. Scientists have had more than 40 years to prove Anfinsen's dogma. But they still haven't proven it. We still have essentially no understanding of how laws of chemistry could make it so that some particular chain of amino acids would have to take the complicated 3D shapes we see in proteins. It seems likely that if Anfinsen's dogma were true, scientists would have proven it by now, and would have solved the protein folding problem. For long ago scientists were able to come up with two sets of data: the three dimensional shapes of many proteins, and the corresponding chain of amino acids that correspond to such a shape. Now given these two sets of data, it would not take very long to unravel some set of chemical rules forcing the chain of amino acids to have that particular shape, if such rules existed. If it were true that 3D protein shapes are determined solely by a string of amino acids and a set of chemical laws, this would be something resembling encoding. One of the principles of cryptography is that if you have a large number of samples showing information before it was encoded, and the corresponding information after it is encoded, then it is usually fairly easy to figure out what rules are being used for the encoding. Here is an example. Imagine we have a table with many cases like those below. Given such data, it is quite easy to figure out what the unstated rules are that are causing these transformations. In this case the rules are (1) shift each letter by one position in the alphabet; (2) then reverse the input. Now, in the case of protein folding, we have something similar to the table below. For quite a few years we have known the following things about many proteins: (1) the one-dimensional sequence of amino acids that make up the protein (the polypeptide chain); (2) the three-dimensional shape that the protein takes. Given such data, and given modern computerized technology, it should be fairly easy to figure out what rules of chemistry might cause a sequence of amino acids to become a particular three-dimensional shape – if indeed the three-dimensional shape is actually determined merely by a combination of that sequence of amino acids and some rules of chemistry. For decades many scientists have been trying to solve this problem, and they have even used super-fast supercomputers to try to solve it. But they still have not come up with the answer. They still have not come up with the answer to the protein folding problem. We know exactly what the benchmark for success would be: if you had the problem solved, then given a sequence of amino acids that make up a protein, you would be able to correctly predict the three-dimensional shape of the protein (without having seen it). No scientist has done anything close to achieving such a benchmark. But given the amount of effort that has been applied to the protein folding problem, it seems that a solution to the problem should have been discovered if Anfinsen's dogma is correct. Page 23 of this document tells us this: “Small changes (e.g. 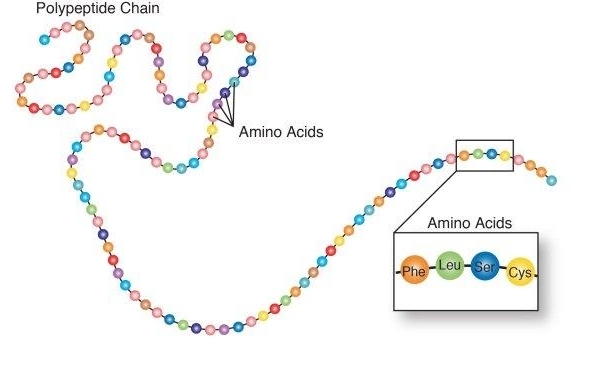 replacement of one amino acid by another) can sometimes cause large changes in structure (this is not always true).” This is not what we would expect if the three-dimensional structure of a protein was being determined solely by its sequence of amino acids. Speaking of 3D protein shapes, page 45 of the same document tells us, “There are many cases of nearly identical structures sharing no sequence similarity.” This is also not what we would expect if the three-dimensional structure of a protein was being determined solely by its sequence of amino acids. Therefore, it is likely that Anfinsen's dogma is not correct. The structure of a three-dimensional protein is probably not determined merely by the combination of the sequence of amino acids in it and some laws of chemistry. What is astonishing is that both in the case of protein folding and in the case of morphogenesis (the progression from a fertilized egg to a human baby), we seem to have a crucially important structural progression that is almost completely unexplained by modern science. Morphogenesis cannot occur merely by reading instructions from DNA, because contrary to popular misconceptions, DNA cannot store any blueprint or sequential list of assembly instructions for making complex organs. DNA is basically just a long sequential list of amino acids, and there seems to be no way of stating in DNA any such thing as a 3D blueprint. 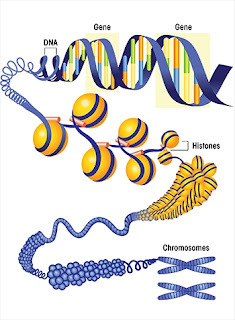 See here for several reasons why the whole idea of a body plan stored in DNA is erroneous. DNA is like a big stack of cards in which each card simply has printed on it the name of an amino acid. You can't express body plans or 3D blueprints with such a thing. Expressing a body plan would require some language vastly more expressive than the “bare bones,” minimalist, “amino acid” language in which DNA is written. What goes on in morphogenesis (the progression from a fertilized ovum to a baby) is something currently inexplicable and profoundly mysterious. Somehow a barely visible speck (a fertilized ovum) progresses to become a full baby, but we don't even know from where it gets the body plan for a human being, which does not seem to be stored in DNA (something that seems to be mainly an ingredient list, not a structural blueprint). It is only reasonable to wonder whether such structural progressions occur from some vitally important component of nature that is completely unknown to us. 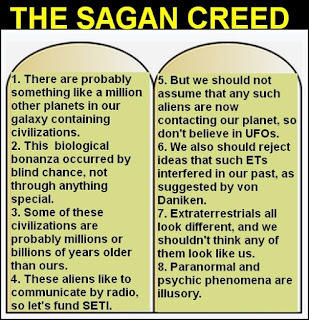 The attempts of scientists to try to explain these mysterious progressions in terms of what is known (rather than admitting that there must be some great fundamental unknown) are clumsy and unconvincing. When they find that what we know is insufficient to explain what we observe, our physicists and cosmologists seem to have no problem introducing hypothetical ideas such as dark matter and dark energy, in an effort to fill the gap. But our biologists seem to be lacking in theoretical imagination, and seem to follow the rule: always try to explain observed biological effects by using only what has been discovered already, no matter how far-fetched such explanations may be. 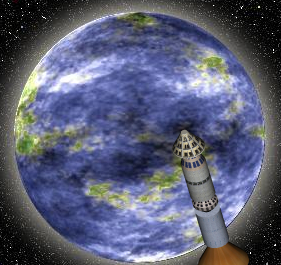 Imagine you are an astronaut who travels to some strange planet revolving around another star. You notice an astonishing thing. Whenever it snows heavily on this planet, the snow forms into snowmen. So when it snows heavily, a large field might fill up with 10 snow men, even though no visible person is building such snow men. Faced with such a reality, you could mess around with bizarre theories trying to explain such an outcome naturally (such as far-fetched “special wind pattern” type of nonsense). Or you could be candid and admit the strange reality: that there is some mysterious force on the alien planet that likes to build snow men out of snow. Similarly, given our inability to explain protein folding and morphogenesis, we might be wise to admit that there is some mysterious life force on our planet that wants to turn polypeptide chains into the 3D protein molecules needed for life, and that wants to turn a newly fertilized egg into a baby. Genes provide the instructions for proteins. From them alone, however, we have no understanding of how proteins develop their complicated three-dimensional structure. Even less does our knowledge of genes explain how proteins and other metabolites become organized into cells and then into highly differentiated tissues and the complicated organs that comprise our bodies. Present knowledge of genes tells us almost nothing about embryology and morphology, which is the science of the forms that organisms have. Some geneticists are not modest in assuring us that they will in time supply all the information we need to understand embryology and morphology. This amounts to a promissory note with no immediate cash value, and in the meantime we are free to consider the possibility of other contributory factors. The statement was made in 1997, but is just as applicable today. And since the decoding of the human genome was completed in 2003, it is hard to believe claims that the answers to such questions will be found in DNA. We've already analyzed human DNA and its gene information completely, and the answers to the riddles of human structure and 3D protein structure aren't there. Here is an interesting analogy. Let us imagine some person who has come to America from some primitive land. The person lives next to a car factory, and he is curious about how cars are made, something he knows nothing about. But he is too embarrassed to reveal his ignorance by asking. So he decides to break into the car factory in the middle of the night, on several different nights. One night he sees a bunch of parts lying around on the factory floor. The next night he sees a partially assembled chassis on the assembly line. The next night he sees a half-assembled car on the assembly line. The last night he sees a nearly completed car. If this person had no knowledge of how factories worked, and was lacking in imagination, he might hazard a guess that would be very wrong. He might think somehow the parts knew how to assemble themselves into the car. Our scientists may be making a very similar mistake. The structural progression known as protein folding may occur only because some mysterious agency or some mysterious force acts to form polypeptide chains into complicated 3D shapes. The structural progression known as morphogenesis may occur only because some mysterious agency or some mysterious force acts to gradually change a newly fertilized egg into a full-size human baby over the course of nine months. But knowing nothing about such an agency or force, our scientists try fruitlessly to explain these structural progressions based on only what they do know. Almost as inexplicable is the progression from the densely packed and disorganized “quark soup” of the Big Bang to the universe we see today filled with beautiful orderly spiral galaxies. 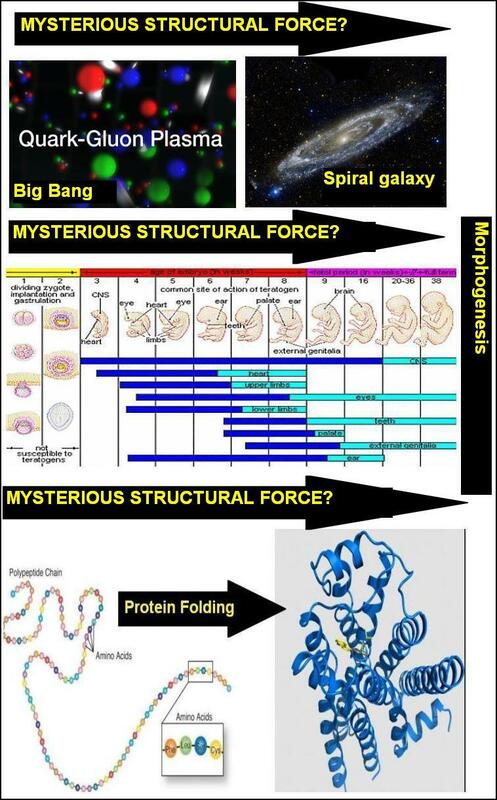 The diagram below compares these three structural progressions, and asks whether all three of them involve some mysterious structural forces completely beyond our current understanding. A new scientific study tells us that protein folding is "surprisingly more complex than previously known." We are told, "The JILA team identified 14 intermediate states—seven times as many as previously observed—in just one part of bacteriorhodopsin, a protein in microbes that converts light to chemical energy and is widely studied in research." It's as if some invisible factory worker (highly trained and very knowledgeable) was running through some very complex series of assembly instructions (not stored in DNA) to make the 3D shape of a protein out of the linear sequence of amino acids listed in DNA. We find again and again that our existence or our health depends on the final output being just right. How improbable is it that blind chemistry is all that is involved here? They've been stumped by one great mystery: how the building blocks in proteins take their final shape. David Baker...has been investigating that enigma for a quarter of a century. Now, it looks as if he and his colleagues have cracked it. (1) The article later tells us that the reported success is only for "short-chained proteins." The median length of a protein in the human body is 431 amino acids. The heart of the problem is how proteins with hundreds of amino acids are able to form their 3D shapes. A solution working only for short-chained proteins isn't any real solution of the problem. 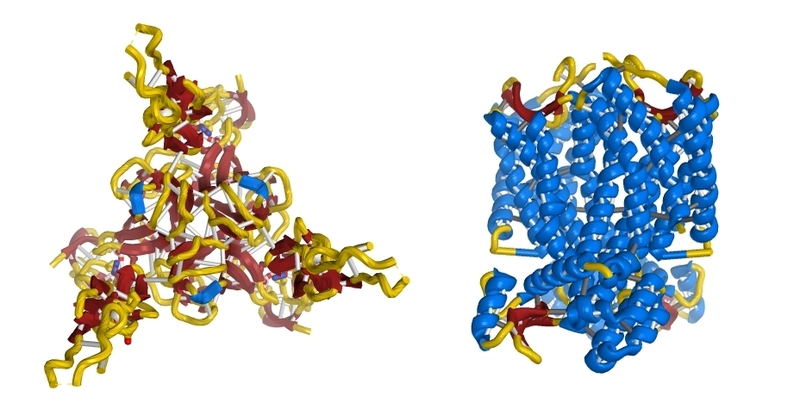 (2) The reported technique uses database techniques in which statistical data on a vast number of proteins is collected and used to predict a 3D shape. But from the standpoint of answering how nature could do protein folding, such a technique is kind of cheating. A polypeptide sequence has no database of thousands of protein shapes it can use when a 3D protein shape appears from a linear polypeptide chain of amino acids. The protein folding problem has always been: how could a complex shape appear from only the data in a linear polypeptide chain of amino acids?